All the national parks the client has taken her daughter to visit. 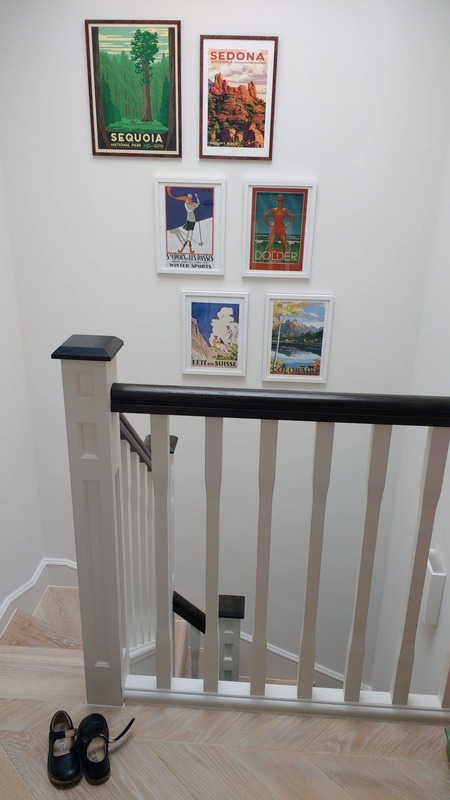 We hung these trip souvenirs high so as to be best viewed from the landing, and also safely out of children’s reach. Sloane Square, London.